The history, the heroes, and the scandals... And yes, we included Ken Burns' lengthy miniseries. Hot dogs, Sunday barbecues, and baseball. Few things are as positively American as those three things, but of those three, baseball comes out on top. The sport has been a constant in American society for more than 100 years, and it has brought the nation together at the worst of times and even worked as a nexus for sociopolitical change. Yet, at its heart, baseball is more than a sport. It is a storytelling machine. Baseball has brought out some of the best, most heartwarming, and most scandalous tales in all of athletics. Below is a list of nine documentaries that epitomize the varying degrees of intrigue that can come from the sport of baseball and those who engage with it. It would be safe to call each of these films a home run (come on, I had to do it). Baseball is a sport of high highs and low lows. There is as much triumph in the sport as there is tragedy, and Billy Corben‘s Screwball leans well into the tragedy aspect. Less focused on what happens on the diamond, the film is focused on Major League Baseball’s most famous doping scandal, which rippled throughout the entire sport, from a corrupt clinician, Tony Bosch, to famous New York Yankees player Alex Rodriguez. Corben’s film is intimately documented and fact-checked. What may seem absurd turns out to be fact, and this doc leans wholeheartedly into the oddity of it all. 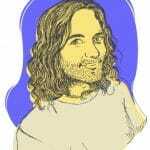 The viewer may be laughing throughout the entirety of Screwball, but under that humor is genuine darkness, metaphorical back-stabbings, and wrongdoings. Chapman and Maclain Way‘s The Battered Bastards of Baseball tells a tale that puts the independent and go-getter nature of baseball into the spotlight. In 1973, famous Hollywood actor Bing Russell started the only independent baseball team in America at the time, the Portland Mavericks. Their story is ripe with intrigue, from hiring the first female general manager in baseball to signing a young Kurt Russell (Bing’s son) to play on the team to inspiring the bubblegum brand Big League Chew. Kurt’s onscreen recollections of his father and the team are where the film is at its best, as he recounts these memories with a sense of warmth and joy. Furthermore, as an independent team, the Mavericks created new viewership records and The Battered Bastards of Baseball rises above the sport to become an interesting story about outsiders and the anti-establishment. Can an entire documentary be carried on the idea of throwing a baseball really, really fast? 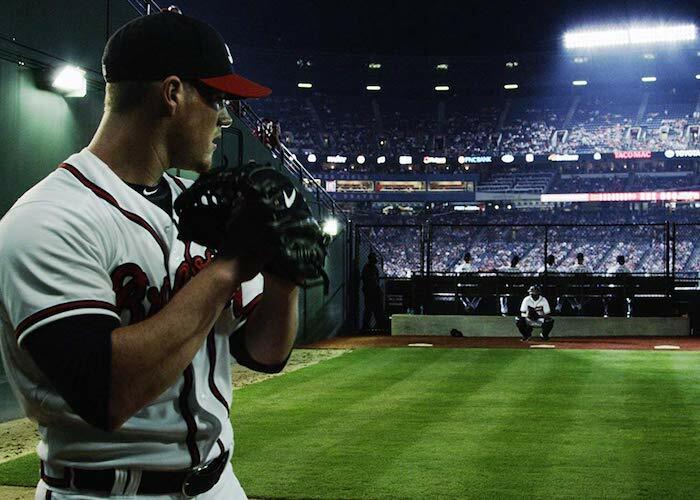 Jonathan Hock‘s Fastball successfully argues that yes, a great documentary can be made about athletes throwing a baseball with all their might. Kevin Costner narrates the film, and famous baseball players — Derek Jeter, for one — and scientists try to figure out who threw the fastest pitch ever. They also ruminate positively at the experience of the time between a fastball being thrown and it reaching home plate. Fastball‘s story rises above the scientific and analytical breakdown of the fastball and becomes a tale about the sport, itself. The once Brooklyn Dodgers had long been one of the most famous MLB teams because of how the team has long represented the diverse working-class nature of Brooklyn throughout the borough and its team’s history. Brooklyn Dodgers: The Ghosts of Flatbush charts the famous team throughout the 1940s and 1950s until their move to Los Angeles, California, in 1958. The HBO documentary presents a rich story that shows how the sport of baseball offered hope to many in post-war America and how it offered a platform for racial and sociopolitical change, with Jackie Robinson‘s signing to the Dodgers and becoming the first black player in the MLB, specifically. As much a story about baseball as it is about a specific time and place, Brooklyn Dodgers: The Ghosts of Flatbush is a story that even non-baseball lovers can warm themselves to. Humane, grounded, and steeped in another era, the documentary uses still photographs, era-specific film footage, and sound clips to transport the viewer to another time. 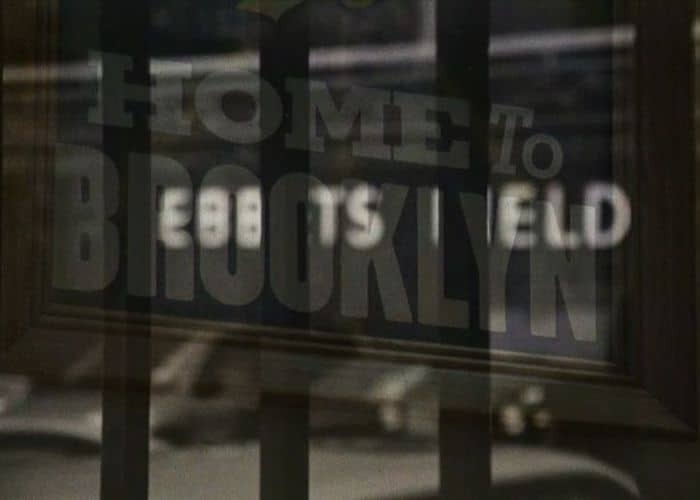 But the film finds itself at its most emotional moments when people (who are no longer young) are asked what the Brooklyn Dodgers mean to them, and what they meant to their neighborhood at the time. Sports fans are a ravenous bunch, just ask Chicago Cubs fan Steve Bartman. He found himself in the crosshairs of every single other Cubs fan in 2003 because many of them believed his interfering with a foul ball was the root cause of their team not making the World Series that year — their “curse” that began in 1908 would have been lifted, but alas, it was not meant to be. Bartman became the scapegoat and the face upon which immense blame was heaped. He even received death threats. Years later, Alex Gibney decided to revisit the incident and the fallout it caused in his ESPN documentary Catching Hell. The film succeeds in meticulously studying the incident that shook the team and its fans, and he does so by interviewing security personnel, Cubs fans, Bill Buckner (the Red Sox first baseman blamed for the infamous error in Game 6 of the 1986 World Series), and members of the Chicago and Boston news press. Gibney is fascinated by how and why such singular moments of errorusually become nexus-points and targets for blame, scapegoating, and volatile harassment. Catching Hell succeeds in showing the darker aspects of sports fandom and the burden that both fans and players carry — although the scale of that burden is drastically off-balance. Here we have another documentary focused on the throwing of a baseball. However, this time, the technique on display is the knuckleball. Ricki Stern and Anne Sundberg‘s Knuckleball! is not just about that specific pitch but also how the rich mythology of the sport of baseball makes it such a compelling game to follow. The knuckleball is, surprisingly, rarely used in major league baseball, as it is a rather tricky throwing style and it is hard to control. But those who have learned to use it at the MLB level have achieved a near-mythic status. 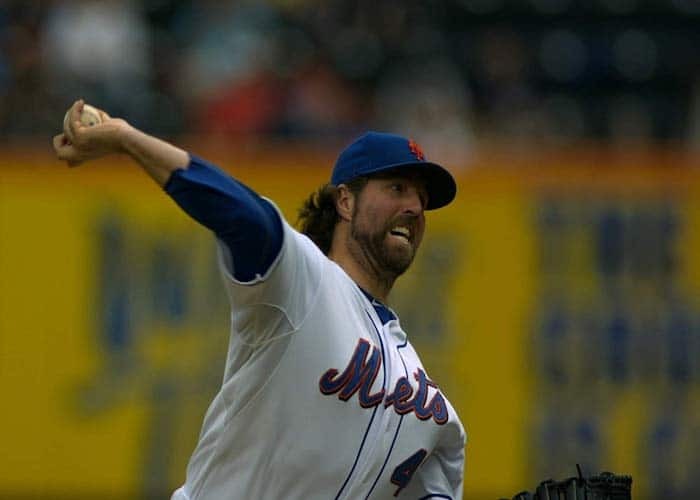 Following the seasons of players Tim Wakefield and R.A. Dickey, Knuckleball! studies how and why these players use the knuckleball, the hardships they’ve endured, and why patience is the name of the game when it comes to mastering this particular pitch. To Wakefield and Dickey, it is common knowledge that the knuckleball gets better with age, and deep into their careers, they’ve come to understand this as fact. Growth, age, nostalgia, and myth are imbued in nearly every scene of the doc, and though it may just be about a certain way of throwing a ball, to lovers of baseball, Knuckleball! offers so much more. Hank Greenberg was the first Jewish Major League Baseball player, and Aviva Kempner‘s The Life and Times of Hank Greenberg studies the man as both a great athlete and an important cultural icon in American pop culture. Playing for the Detroit Tigers, Greenberg faced many hardships and antisemitism, but he both endured and rose above it. In doing so, he helped lead the Tigers to Major League Baseball dominance in the 1930s. But more importantly, he became an inspirational icon and a hero in the Jewish community and showed that his status as a baseball player was so much more than just that. Kempner uses archival film footage of Greenberg, interviews with former teammates, family, and friends to help tell the inspiring story and to paint a picture of who the man behind the legend was. Furthermore, Kempner interviews both Jewish and non-Jewish fans to show what Greenberg meant and means to various people. To some, he was an inspiring hero and to others, he was just an outstanding first baseman, and history will remember him as both. Ballplayer: Pelotero tells the story of two top baseball prospects from the Dominican Republic and the immense hardships they face as they attempt to bring their big league dreams into reality. Directed by Ross Finkel, Trevor Martin, and Jonathan Paley, the documentary follows two teenagers, Jean Carlos Batista, and Miguel Angel Sano, as they attempt to wow MLB prospects in order to make their dreams come true. What initially seems like a heartwarming coming-of-age rags-to-riches tale slowly molds into something more thought-provoking. As the film winds on, what is shown is the morally gray territory between exploitation and desire. Almost every choice made in this film has something to do with financial gain or, at least, the prospect of financial gain. Many questions are raised, but few are answered. 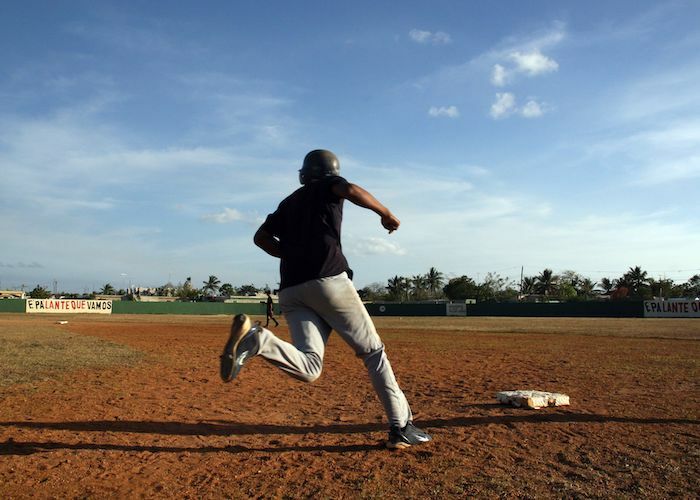 The Dominican government may turn a blind eye to the MLB’s place in the nation, young men confuse exploitation for dreams of a better life, and most importantly, Ballplayer: Pelotero begs us to ask whether or not the recruiting system in the Dominican Republic is sustainable. Of course, this tome of a documentary was going to be on this list. Ken Burns has long been known for his immensely rich and detailed documentaries, and when he turned his gaze to baseball, what followed became one of the greatest documentaries about the sport. As a piece of work, Baseball is a colossal achievement. 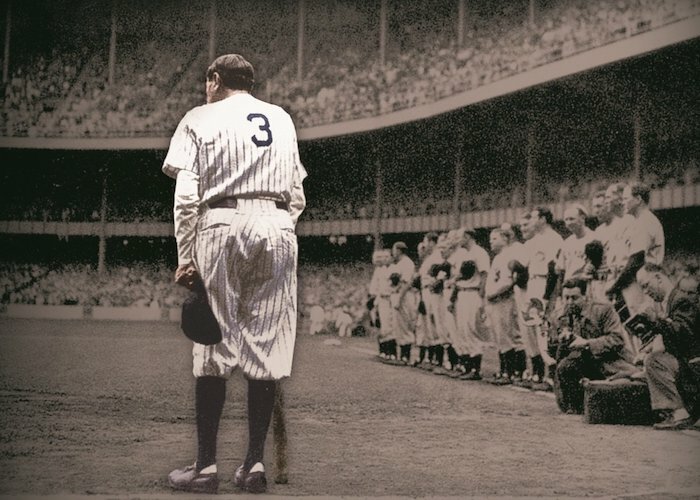 At 19 hours long, it is no short watch, but the stretched-out length allows Burns to tell the story of baseball from its fledgling start to the monolithic place it holds in American society today. Focusing on the sport from a macro scale, Burns relates so much of the sport to various times and various places. Baseball ebbed and flowed for years until it found its footing, and from there it just rolled ever onwards. Yet, Burns knows that what makes sports so interesting is not the sport itself but those who play and follow it. Baseball, on top of viewing the game through a macro lens, tells many tales of singular human achievement, suffering, and underdog stories, and all of these tales weave themselves into the tapestry that is the American mythology of baseball. It is “America’s favorite sport” for a reason and Burns’ documentary offers the best and most holistic reasons why baseball will always be a part of the overall American experience.